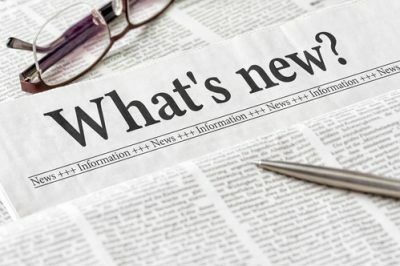 Employers: What’s new for 2019 ACA reporting? The 2019 IRS filing year is quickly approaching; and employers will once again need to shift their focus to ACA compliance. Much will remain the same for the upcoming IRS ACA reporting year, but there are a few notable changes. To prepare for 2019 ACA reporting, employers should take time to review the upcoming requirements and cultivate a strategy for compliance. Here are a few changes that employers should be aware of during this filing year. Starting in filing year 2018, the IRS stated they will NOT process individual tax returns unless taxpayers indicate whether they have health coverage. 2019 will be the second year the IRS will NOT accept nor process tax returns that omit this information. The IRS announced, “This change in process reflects the requirements of the ACA and the IRS’s obligation to administer the health care law.” So starting this year, electronically filed tax returns that do not indicate whether the individual had health coverage for the year will NOT be accepted. Also, paper tax returns that do not confirm compliance may be suspended, and any refunds due may be delayed. In previous years, the IRS has accepted and processed returns without health coverage being indicated. However, going forward this will not be the case. Now employees will be required to indicate whether they and their family members had coverage or whether they qualified for an exemption during the filing year. Employees will need to use the information on their 1095-C forms to substantiate healthcare coverage for themselves and any covered family members when filing their tax returns. This is another reason why it is extremely important for employers to comply with ACA requirements and provide correct and complete forms in a timely manner this reporting year. We all should know by now that applicable large employers (ALEs) are required to offer affordable, minimum value health coverage to their full-time eligible employees, or pay ACA penalties. As in previous filing years, employers will likely see an increase of the ESRP (Employer Shared Responsibility Provision) penalties for the 2019 filing year. For 2019 filing, the sledgehammer penalty has been increased to $2,500 annually per full-time employee (minus the first 30 FTEs). The tack-hammer penalty has been increased to $3,750 annually per full-time employee who receives a tax credit. The ACA requirements indicate that health coverage is considered affordable if the employee’s plan contribution does not exceed a set percentage of the employee’s household income for the tax year. Employers should note that the affordability threshold percentage has increased to 9.86% for the 2019 filing year. Therefore, in order for your medical plan to be considered affordable, it should not exceed this amount. As always, Integrity Data’s ACA reporting service is here to assist you with this year’s ACA filing. In addition, you can visit www.acafluent.com. Here you can find a host of educational resources to view at your convenience to give you a better understanding of how to ensure you are staying in compliance.